Build your LEGO collection with the LEGO 10701 Classic Grey Baseplate. Whether you’re creating a LEGO street scene, a towering castle, or something straight from your imagination, this grey-coloured 48x48 stud baseplate is the perfect starting point. The LEGO 10701 Classic Grey Baseplate is just right for building, displaying, and playing with your LEGO creations. 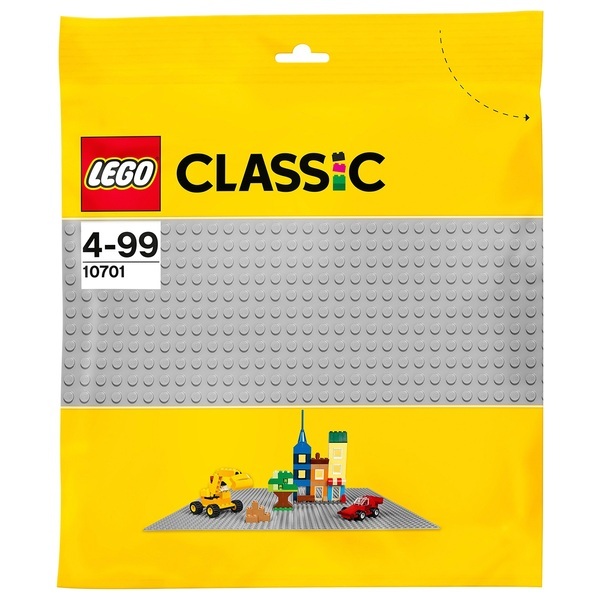 Add another useful piece to your LEGO collection with the LEGO 10701 Classic Grey Baseplate.